Sunday afternoon May 9th at 3:00 pm my trio with Mike Holstein, bass and Sonny Thornton, drums will be giving a concert at St. Matthias Church, 1 Dundee St. off of South Charlotte St. in Asheville. The church has amazing acoustics and it's a pleasure to play there! 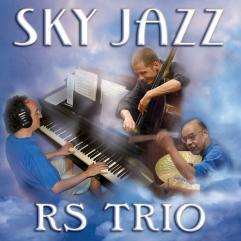 The Richard Shulman Trio, now known as Earth & Sky will be playing music from our "Sky Jazz" CD, plus some special songs for Mother's day, including "Mom," which is a ballad about forgiveness and unconditional love. We will be talking about and playing examples of the healing and uplifting effects of music with conscious intention, and sharing what's behind the music. I will be accompanying the Fireworks with synthesizer music! I'm starting with blueberries grown from seeds.... May your gardens be beautiful!